Begbies Traynor, administrators of the world-famous Wedgwood Collection of art, pottery and writing in Staffordshire, today threw their support behind a special appeal to save the collection from being dismantled and sold at auction. 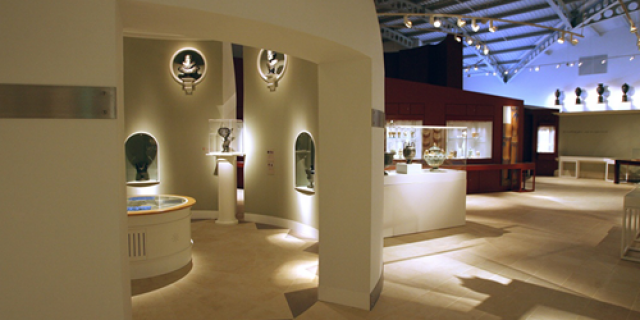 The historic collection featuring artefacts dating back 250 years went into administration in 2009 after owner Waterford Wedgwood Potteries went into liquidation, prompting the transfer of the company’s £134m pension debt to Wedgwood Museum Trust. This is in turn placed the future of the collection in doubt. However, following years of negotiation and warding off the threat of auction so far, Bob Young, partner at business rescue and recovery specialist Begbies Traynor, has secured the sale of the collection to national art charity the Art Fund - on the condition that a £2.75m funding gap will be plugged. The Art Fund today (Monday, September 1) launched the Save Wedgwood Appeal in an attempt to ensure the collection’s future, having already raised £13m towards the purchase of the 80,000 pieces valued at £15.75m. The charity has until November 30 to raise the money in a deal struck with the museum’s creditors. If the appeal is successful, it means that the works will remain together under one roof, in Barlaston near Stoke-on-Trent, as an asset for the nation to enjoy. Ownership of the collection will be transferred from the Art Fund to the V&A once the final £2.75m required for its purchase has been raised. The Art Fund has succeeded in raising £13m through a combination of funding from the Heritage Lottery Fund and private trusts. The museum has remained open throughout the four years of the administration. It is scheduled to close for a short period over the New Year as part of the redevelopment of the Wedgwood estate but it is anticipated that the Wedgwood Collection will reopen in early 2015 and will form part of a new visitor centre being created by Waterford Wedgwood Royal Doulton. The V&A will assume responsibility for the collection in perpetuity. It is expected that the V&A will loan the precious works to Waterford Wedgwood Royal Doulton under an operating agreement currently being drawn up with a view to it remaining at its long-standing Barlaston site.